I have noted before the parallels between the Islamic fascists of al-Qaeda and the Christian Chetnik fascists in Bosnia, including the fact that both groups share the same left-wing apologists. I have also noted before that Islamophobes and Islamofascists are two sides of the same coin. I am therefore unsurprised to see that another piece of the Red-Brown jigsaw puzzle has slotted into place, and that right-wing anti-Muslim bigots are beginning to view the West’s dangerous and aggressive enemy, the Russian tyrant Vladimir Putin, as a desired ally in their crusade against the Muslim peoples of the world. An exceptionally bigoted article by Irina Filatova, representing the Putinist Russian-nationalist perspective, appeared on the Guardian’s ‘Comment is Free’ website in response to Western recognition of Kosova’s independence. Filatova writes: ‘This opposition [to Kosova’s independence] among the Russians is practically unanimous. From the nationalist Vladimir Zhirinovsky to the communist Gennady Ziuganov to even Nikita Belykh, leader of the Union of Right Forces, a crumbling but consistent defender of liberal values in Russia – all support the official line of Putin’s government.’ She goes on: ‘Many Russians warn that the creation of a Muslim state in the middle of Europe will strengthen the position of Muslim minorities and of Islam in Europe generally. They also point to the role of Kosovars – even under Nato control – in drug and people trafficking in Europe… how would the British feel if in 20 or 30 years Windsor, for example, proclaimed its independence on the grounds that the majority of its population was now Muslim and if the US decided to support this claim?’ What we have here is a bogey raised of ‘Muslim minorities and of Islam in Europe generally’; of a particular ethnic group identified with organised crime; and of a Muslim demographic threat leading to a Muslim state on British soil. However offensive such BNP-style sentiments are, and however inappropriate to find them expressed in an article on the website of Britain’s leading liberal newspaper, they are undoubtedly representative of the chauvinistic mainstream in Putin’s Russia. Russian nationalists like Filatova are selective in their presentation of Russia as the aggrieved party, righteously upholding international law – an area in which Russia’s record is less than immaculate. The Soviet Union annexed the Baltic states and Japan’s Kurile Islands during and after World War, and subsequently invaded Hungary, Czechoslovakia and Afghanistan – all without the sanction of the UN Security Council. Previous Russian leaders Mikhail Gorbachev and Boris Yeltsin have repudiated or apologised for the Soviet invasions of Hungary and Czechoslovakia, but this tradition of apologising for has not been continued by Putin. The current Russian president describes the collapse of the Soviet Union as ‘the greatest geopolitical catastrophe’ of the twentieth century, and has refused to apologise for the Soviet Union’s illegal annexation of the Baltic states – an annexation that the US never recognised – claiming that the act had been consensual. He has refused also to return Japan’s Kurile Islands. Other Putinist actions that have been less than fanatical in their respect for international law include Russia’s launching of a cyber-war to destabilise Estonia, because the Estonians decided to move a statue from one place to another; the murder of Alexander Litvinenko; and the maintenance of a military presence in Moldova’s and Georgia’s break-away territories of Transnistria, Abkhazia and South Ossetia, in violation of the sovereignty of two UN member-states, Moldova and Georgia. Indeed, Putin’s support for these break-away territories, which are much closer to Russia than is Kosova, suggest that Russia, as well as being less than consistent in its support for international law, is less than consistent in its opposition to unilateral ‘separatism’. Russia’s conflict with the Western alliance over Kosova is, in other words, a crisis that Putin unnecessarily manufactured for his own purpose, which is to split the EU, disrupt its expansion and cause problems for the US and Britain. This is not a conflict that can be attributed to aggressiveness on the West’s part; Western leaders have bent over backwards to accommodate Putin since he took power in 1999. Tony Blair very publicly (and shamefully) supported Putin’s murderous war to crush Chechnya. Putin responded to Western benevolence by supplying Saddam Hussein’s regime with military information in the run-up to the Iraq War. This is not a conflict that we started. There is a global struggle taking place against Islamic fascism, and it is one that all democrats should support. But in doing so, we find ourselves in some sense aligned with some unsavoury bigots whose motivation has less to do with support for democratic Western values and more to do with simple hatred of Muslims and Islam. Since democratic Western values include respect for freedom of conscience and religious toleration, such bigots clearly have no place in our ranks. Their hatred of Muslims is essentially no different from the Islamofascist hatred of Jews and Christians, and their bigotry only alienates ordinary Muslims and pushes them into the arms of the extremists. It is therefore gratifying that the Kosova crisis has prompted these bigots to reveal their true colours: as supporters of the West’s enemies. Writing in the pages of Frontpagemag.com, the screaming American chauvinist Julia Gorin suggests: ‘If Russia intervenes [over Kosova], then 2008 might become the year that war broke out between Russia and NATO. America, the EU, Europe’s immigrant ‘youths,’ and Osama bin Laden would find themselves on one side, fighting Russia, China, and those Europeans who resist Islamization on the other.’ No question about which side Gorin would be on in such a conflict; it wouldn’t be ours. Her antipathy toward the Kosova Albanians apparently originates with the support given by Democrat President Clinton’s support for them. Never mind that the Kosova Albanians are about the most pro-American nation on the planet; if you sufficiently hate Muslims and Democrats, it is apparently acceptable to align yourself against them and on the side of the West’s enemies. Melanie Phillips, writing in the Spectator, has this to say: ‘It was at the Battle of Kosovo in 1389 that some 70,000 died to keep the Islamic Ottoman Empire from advancing further into Europe. What is the point of fighting the jihad in Iraq when we are cheerfully opening the door to it in that very same place? Russia’s President Putin has warned that recognising Kosovo will rebound very badly upon the countries who have blundered into endorsing it. The fact that this outcome is merely the inevitable consequence of the war so unwisely prosecuted by those countries against Serbia does not soften its deeply alarming implications. Putin is warning only too correctly of the dangers to the west of this development and the supreme folly of endorsing it.’ Mad Mel’s article is about one of the craziest I’ve ever read, and contains too many gems to be listed here, but one of my favourites is this one: ‘The Albanians [in Kosova] have turned Christian graveyards into car parks, playgrounds and rubbish dumps. Anything relating to Serbia or Christianity libraries [sic], public records, books, names of places and even towns have been wiped out.’ Anything, apparently, except for the statues of Mother Teresa and Skanderbeg – the Albanians’ two most revered national heroes, both of them Christians – that stand right in the centre of the Kosovar capital of Pristina. Perhaps the Albanians didn’t notice them ? Thus, an anti-Muslim bigot with no knowledge of Kosova, its history or its people is allowing her prejudices to align her with the anti-Western regime in Moscow. Hugh Fitzgerald of Jihadwatch argues: ‘Among major world powers, both Russia and China are opposed to an independent Kosovo. Even within Europe there are nations that oppose this independence — Spain — and others where many are uneasy. It would have been politically possible for the American government to have thought a bit more about the implications, the consequences, of having another Muslim state — the product of centuries of Ottoman rule — within Europe, and to have thought a bit more about the historical treatment of the Serbs under that same Ottoman rule, and their understandable bitterness.’ He goes on: ‘There is no reason not to take Serbia’s side now. There is every reason — of principle and of Infidel self-interest — to take it.’ In other words, you can burn down US embassies, you can give military information to Saddam to help him kill American soldiers, you can drive a wedge into the Western alliance, but you will still be our ally against people who wave the American flag in gratitude – provided that you are Christian and they are Muslim. Albania has sent troops to Iraq and has shown much greater loyalty and staying power as our ally there than many predominantly Christian states. Albanian Defence Minister Fatmir Mediu has said that Albanian troops will remain in Iraq as long as US forces remain there. Western anti-Muslim bigots would like to deprive us of yet another ally, simply in order to satisfy their own hatred for all things Muslim. In the global struggle against the Islamist menace, the anti-Muslim bigots are a liability. They should have no place in our ranks. Hat tips: Hakmao, Drink-soaked Trots; Oliver Kamm. What is at stake in the struggle for Serbia ? Venezuela’s Hugo Chavez naturally opposes recognition: ‘We do not recognize the independence of Kosovo’, he said; ‘This cannot be accepted. It’s a very dangerous precedent for the entire world’. The parliament of Belarus has condemned Kosovo’s declaration of independence; Belarus’s despot Alexander Lukashenka lamenting the fact that opponents of Kosovo’s independence ‘betrayed our fraternal Slavic nation’ in 1999 and failed to defend Serbia from NATO. Sri Lanka’s ambassador to the UN, Dayan Jayatilleka, criticised Serbia for having failed to stand its ground against NATO in the Kosovo War: ‘Never withdraw the armed forces from any part of [your] territory in which they are challenged, and never permit a foreign presence on [your] soil.’ (Sri Lanka is fighting a brutal war against its Tamil population). The chorus of voices raised internationally against Kosova’s independence is a chorus of demagogues, despots and xenophobes. Within the EU, the mature democracies that make up the core of the alliance have been largely united in their readiness to recognise Kosova’s independence. Opposition has come from those whose experience of democracy is more recent and which themselves have nationalistic reasons for opposing recognition: Spain and Greece were dictatorships as recently as the mid-1970s; Slovakia and Romania as recently as 1989. Slovakia, Romania, Greece and Cyprus all have strong recent histories of xenophobic bigotry and intolerance. While Spain is in most respects a mature democracy, it is in a sense the exception that proves the rule; its historic fear of Catalan and Basque separation, manifested most brutally by Francisco Franco and the Spanish fascists in the 1930s and after, is guiding its Kosova policy. In this international context, in which enemies of the West are seeking to attack us over Kosova and profit from our divisions, and with EU ranks suffering from dissention on the part of those members not fully assimilated to post-nationalist European values, it is absolutely essential that our resolution does not waver. Given existing British and US commitments in Iraq and Afghanistan, some might be tempted to say that we cannot afford a major commitment in the Balkans. In fact, we cannot afford not to make such a commitment. The danger is that if Russia and Serbia succeed in embarrassing us over Kosova, both our credibility in the eyes of the world and EU unity itself could be jeopardised. Western credibility was already slightly dented by the Serb attack on Kosova’s border crossings with Serbia, against which sufficient precautions were not taken. Northern Kosova, with its artificial Serb majority manufactured by ethnic cleansing, has long been an unhealed sore, and is an area where Serb obstructionists can cause problems for us if we do not resolve the problem promptly. An informally partitioned Kosova, such as exists at present, will not simply be another Cyprus – an annoying problem whose resolution can be postponed indefinitely at minor but bearable cost to Western interests. Serbia in northern Kosova, unlike Turkey in northern Cyprus, is not ready to rest content with a quiet, de facto partition. The Serbian government minister for Kosova, Slobodan Samardzic, has stated openly that the attack on the border crossings was ‘in accordance with general [Serbian] government policies.’ In other words, Belgrade intends to use northern Kosova as a weapon with which to destabilise the whole of Kosova and the stability of the Western Balkans in general. Indeed, some of the Serbs who attacked the border were in all probability agents of the Serbian Interior Ministry. Belgrade will undoubtedly make life difficult for newly independent Kosova. Ultimately, however, Serbia is not strong enough to overturn the new order in Kosova. This raises the question of what the Serbian government is hoping to achieve by engaging in a struggle it cannot possibly win. A lot of commentators in the West like to stereotype the Serbian people as irrationally and spontaneously nationalist, and their politicians and statesmen as simply expressions of this characteristic. According to such a model, the attack on the Kosova border, as well as Thursday’s demonstration and rioting in Belgrade, simply reflected atavistic Serb nationalism, which reacted to the recognition of Kosova like a bull to a red rag. In reality, three things about Thursday’s demonstration are apparent. The first is that a demonstration of that size does not take place spontaneously; it was the result of careful planning and organisation by the Serbian Prime Minister Vojislav Kostunica and his supporters and allies, above all Tomislav Nikolic’s extreme-right Serbian Radical Party. Workers and schoolchildren were given the day off and bussed into Belgrade from all over the country to participate. The second point to note is that, this being the case, a demonstration that enjoyed the full logistical support of the Serbian state but still numbered only 150-200,000 is actually a fairly sorry affair. Milosevic’s regime in its prime was capable of mobilising demonstrations several times larger, reaching up to and above one million people. And the third point to note is that the demonstration rapidly spawned a riot in which, not only the US embassy was attacked but also the Croatian and Bosnian embassies, McDonald’s restaurants and several shops, some of which were looted in the process. In other words, this was a demonstration of the state-organised hooligan fringe of Serbian society, to which the ordinary citizens and celebrities who attended merely added a respectable veneer. During the Kosovo War of 1999, I lived for more than a month in an ordinary Belgrade suburb, solely in the company of the native people of Belgrade and without any contact with other foreigners. Several times, during and immediately after this war, I crossed the Serbian international border. During this period, on not one single occasion did I, as a Briton, experience so much as a curse or a rude word from any Serbian citizen or border guard, despite the fact that my country’s airforce was bombing their country. One border guard even said to his colleage, in front of me, that what NATO was doing had nothing to do with me, but was the fault of higher powers. The Serbian people, for the most part, are not hooligans and do not engage in random acts of mob violence and destruction. Why should yesterday’s demonstrators have attacked McDonald’s restaurants, when during the Kosovo War the local management of these restaurants patriotically (as they saw it) supported the Serbian defence against NATO ? McDonald’s posters in 1999 Belgrade displayed the colours of the Serbian flag and promised a share of their profits to a fund for military invalids. Those who view themselves as engaged in a righteous act of national self-defence (as most Serbian people, however misguidedly, genuinely did in 1999), do not degrade themselves with acts of rioting and looting. One rioter was burned to death in the attack on the US embassy; this wave of violence, which has already produced dozens of injuries in recent days, is already violent in comparison with the revolution that overthrew Slobodan Milosevic in October 2000. This rioting and looting was not just the action of a few troublemakers; it is an expression of the new climate of violence and intimidation that the Kostunica regime and its allies in the Serbian Radical Party and other extreme right-wing and nationalist groups are deliberately encouraging. Hence the deliberate failure of the police to restrain the rioters or to protect the embassies. Former Serbian Prime Minister Zoran Zivkovic said of the police: ‘I am sure they were told to let thugs smash all embassies on their way and then to deal with the aftermath.’ He said that Kostunica’s supporters ‘are now in a position to freely spit on everything that sounds and looks even remotely European… This is the decline of democracy in Serbia.’ Serbian Minister of the Economy Mladjan Dinkic condemned the ‘political parties that are justifying hooliganism, and are abusing the misery of the Serbian nation for political gains.’ Dinkic is an ally of Serbia’s pro-European President Boris Tadic. Significantly, the Croatian and Bosnian embassies were also attacked, even though Bosnia has no plans to recognise Kosova while Croatia has been fairly reticent about it: the vandals were venting chauvinistic rage – against symbols of the West and against Serbia’s ‘enemies’ in general – that reflects the new climate, and that has little specifically to do with Kosova. The Radicals, who provide the backbone to this nationalist coalition, are bona fide fascists: direct and conscious political heirs of the Nazi-collaborationist Chetniks of World War II; friends of France’s Jean-Marie Le Pen; and organisers of paramilitary forces directly involved in the mass-murder and ethnic cleansing of Muslims in Bosnia in the 1990s. Over the past week, reporters, photographers and TV crews have been frequently attacked and injured by masked assailants. Meanwhile Ivica Dacic, the leader of the Socialist Party of Serbia, said he would call for a ban on all political parties and non-governmental organisations which recognise Kosovo’s independence. He singled out in particular the human-rights activist Natasa Kandic. Although it is the media, human-rights activists and the Liberal Democrats that are on the receiving end of the violence, the ultimate target is the section of the Serbian political establishment grouped around pro-European President Tadic and his Democratic Party, which shares power in Serbia’s coalition government with Kostunica’s supporters. Tadic defeated the Radical leader Tomislav Nikolic in the presidential election earlier this month, and has been falling out with his erstwhile ally, Prime Minister Kostunica, who failed to support him against Nikolic, while Kostunica’s own popular support has been dwindling. The nationalists grouped around Nikolic and Kostunica were therefore faced with a political eclipse. They are using the Kosova crisis to regain the upper hand in their power-struggle with Tadic. The latter is the prisoner of his own contradictory policy: pro-European but supportive of the nationalist position over Kosova, he has found himself outflanked by the chauvinistic eruption that Kostunica is fostering. Serbian Defence Minister Dragan Sutanovic, a member of Tadic’s Democratic Pary, said that yesterday was ‘one of Belgrade’s saddest days’ on account of the violence. But it is a tragedy for which Tadic and the Democratic Party are in large part responsible: by failing to challenge the nationalist consensus over Kosova, they have left themselves and democratic Serbia defenceless against an assault of this kind. For all his undoubted pro-European sympathies, Tadic has played the role of a Serbian Hindenburg. This may not save him: on the day of the Belgrade demonstration, Russian state television lauded the assassination of his predecessor, Serbian Prime Minister and Democratic Party leader Zoran Djindjic, describing him as a ‘puppet of the West’ who ‘received the bullet he deserved’. The nationalist-fascist coalition behind Nikolic and Kostunica is therefore trying to achieve through mob violence and intimidation what its members have failed to achieve through the polls. Its ultimate goal is the establishment of a Putin- or Lukashenka-style authoritarian-nationalist regime in Serbia, under which the media will be controlled, journalists and human-rights activists assassinated when necessary, and the economy colonised by Russia. Serbia’s suspension of diplomatic relations with Western states that are recognising Kosova conveniently burns the bridges to the democratic West and creates the isolation that the nationalists crave. This is not what most Serbian people want. It is one thing to be unhappy about the loss of Kosova, but to favour turning Serbia into an isolated, impoverished Cuban- or North-Korean-stye satrapy of Russia, under a repressive regime that condones mob rule and murders dissidents, is quite another. The opinion of the majority of Serbians is probably best represented by Tadic: angry about losing Kosova, they nevertheless do not want this issue to stand in the way of Serbia’s European integration. The Serb-nationalist commentator at the inappropriately named website Antiwar.com, Nebojsa Malic, a supporter of Nikolic and of the late Milosevic, wrote bitterly that Tadic’s election victory proved that the Serbian people were insufficiently warlike, and would not want war in response to the loss of Kosova: ‘After all, what are the Serbs going to do, fight? They’ve just shown they don’t have the guts.’ Which is one way of describing a healthy Serbian popular aversion to renewed war and isolation. But as in Italy in the early 1920s and Germany in the early 1930s, a violent, determined minority is entirely capable of intimidating and crushing a passive majority. This brings us back to where we began: the alignment of forces in the world for and against Kosova’s independence. On the one side stands most of the democratic world; on the other, an unholy alliance of authoritarian regimes that are either hostile to the West, or that want to be free to crush their subject nationalities without fear of outside interference. The conflict within Serbia is essentially the same struggle in miniature. In this context, to abandon democratic Serbia – both the mainstream pro-European democrats under Tadic and the brave independent journalists and human rights activists – would be to hand a victory to our enemies globally. We must stand by democratic Serbia. This means continuing to work with all pro-European elements towards Serbia’s Euro-Atlantic integration, while pressing them to confront more resolutely the chauvinistic poison. Tadic must be pressed to come down off the fence, to break completely with Kostunica and the nationalists and to repudiate publicly their destabilisation of Kosova and intimidation of domestic opponents. Not one inch of ground should be conceded to the nationalist-fascist coalition, in Kosova, Bosnia or anywhere else. Milorad Dodik, Prime Minister of Bosnia’s Serb Republic (Republika Srpska – RS), spoke at yesterday’s demonstration in Belgrade and aligned himself with the nationalists, stating that Serbia, and not Bosnia, was the RS’s ‘fatherland’. This appears to mark the beginning of his campaign to break up Bosnia and unite the RS with Serbia to form a Great Serbia. It is high time that we completed the reintegration into a unified Bosnia of the RS – the product of a genocide that the International Court of Justice, European Court of Human Rights and the UN’s war-crimes tribunal in the Hague have all recognised. This would serve the dual purpose of reducing the nationalist ability for mischief-making in the Balkans and strengthening Bosnia as a pillar of the European order. The Stabilisation and Association Agreement should be signed with Serbia as soon as possible – to punish Serbia with further isolation would only play into the hands of the nationalist-fascist coalition that wants isolation. Above all, we must take the necessary steps to secure fully the Kosova-Serbia border, prevent the entry of Serbian government personnel and other trouble-makers, and rapidly reintegrate northern Kosova with the rest of the country. This is a battle that, provided the leaders of Europe and the US are resolute, we cannot lose. It will not be won overnight; as with the overthrow of Milosevic, the defeat of the new crop of Serbian fascists may require years of patient promotion of a democratic alternative. But if our will falters and we do lose, the consequences could be catastrophic, not just for the Balkans, but for Europe and the world. Is Kosova’s independence a sham ? Many arguments are being mustered to do down Kosova’s independence, most of them ill-willed, insincere and easily refuted. But one or two are serious and worth addressing. For example, the argument made by Philip Cunliffe and Dragan Plavsic, among others, that Kosova’s independence will be no more than symbolic, as it will remain in practice an EU protectorate in which it and its people will not enjoy any real control over their destiny. This is a seductive argument for anyone who comes from a radical-left background, as Philip, Dragan and myself do. But it is wrong. It sets up an ‘ideal model’ to which a newly independent state should supposedly adhere, and then inevitably points out that Kosova is not living up to the ideal. In doing so, it ignores the fact that several Balkan states that today enjoy very real independence themselves began as the protectorates or satellites of the Great Powers. When Greece was established as an independent state in the 1830s, it was as a ward of Britain, France and Russia. The three Great Powers imposed a Bavarian German royal dynasty on the new state, in scant regard to the Greeks’ feelings. The Greek Canadian historian Leften Stavrianos writes that following independence, ‘Athens became the diplomatic cockpit of the three Allied Powers… Under these circumstances Greece, like other small states, was independent only in a nominal sense.’ Greece’s transition from nominal to real independence was a long process, arguably not completed until well after World War II. Serbia was finally recognised as an independent state in 1878, but soon after, its Prince Milan Obrenovic signed a treaty with Austria-Hungary, effectively turning Serbia into an Austro-Hungarian vassal. Serbian minister Milan Pirocanac complained that ‘by such a convention Serbia would stand in the same relation to Austria-Hungary as Tunis to France.’ Others said bluntly, ‘Your Majesty, you have sold Serbia for three thousand ducats !’ Milan wittily responded: ‘You don’t think, surely, that I could have got more ?’ In fact, barring Milan’s unfortunate war against Bulgaria in 1885, Serbia’s period as an Austro-Hungarian vassal compares favourably with the following period, beginning in 1903, when the ultra-nationalists who overthrew the Obrenovic dynasty led Serbia to military and humanitarian catastrophe in World War I.
Bulgaria was effectively liberated from Ottoman rule in 1878, marking its first step toward independence. The new, semi-independent state began as a Russian vassal under a German prince, Alexander of Battenberg, and a largely Russian officer corps. In 1882 Alexander appointed two Russian generals to be Bulgaria’s prime minister and minister of the interior. Yet within a couple of years Alexander had broken with the Russians and shaken off their tutelage; Russia, having confidently expected to enjoy a loyal satellite in Bulgaria, permanently lost its control over the country (until the Soviet occupation in 1944). Bulgaria, like Serbia and Greece, was then free to embark upon an imperialist policy of its own that led it to repeated disaster. Albania emerged as an ‘independent’ state in 1913 under the tutelage of the Great Powers, particularly Austria-Hungary and Italy, which rescued it from partition between Serbia, Greece and Montenegro. The Great Powers determined its borders and imposed another German prince, William of Wied, as its ruler. Albania’s path to full independence was long and painful, passing through periods as an Italian colony and Soviet and Chinese satellite; the subsequent period of ‘real independence’ and isolation under the Communist tyrant Enver Hoxha was perhaps as bad as any. Even Tito’s Communist Yugoslavs, so idealised by radical leftists since World War II, took power in Yugoslavia as the satellites of the Great Powers. They achieved victory through massive British, US and Soviet military assistance; the British and American airforces bombed Tito to power; Tito’s HQ for part of 1944 was an Adriatic island under British naval control. The role of ‘Western imperialism’ in creating Titoist Yugoslavia was vastly, incomparably greater than its role in destroying it (in the latter case, the West merely passively acquiesced in the destruction of Yugoslavia by Milosevic’s Serbia, and imposed an arms embargo on Milosevic’s victims). The Soviets, too, played a major role in establishing the new Yugoslavia; the Soviet Army liberated Serbia on Tito’s behalf in 1944 and enabled him to assume power in Belgrade. Tito’s Yugoslav Communist regime was initially a satellite of the Soviet Union. Yet his break with Stalin is legendary. Kosova’s status as a Western protectorate, replete with a banal, EU-style flag, is therefore entirely in keeping with the tradition of earlier Balkan states that successfully achieved their independence under Great Power guidance. However nominal the independence of Greece, Serbia, Bulgaria(1) or Albania may have been in their early years, it was their recognition by the Great Powers that proved decisive. The state of vassaldom in each case proved transient; the independence, and the recognition of that independence, have been permanent. (1) Bulgaria’s full independence was not formally proclaimed and recognised until 1908. Yesterday, I truly felt what a privilege and a joy it was to be alive, and to watch as the great people of Kosova finally achieved the freedom that they have sought for so long. It is a moment that all Kosovar patriots, all sincere Serbian democrats and all those who believe in freedom for the people of South East Europe, and indeed in freedom generally, should be celebrating. With all my heart, I should like to congratulate the people of Kosova on this great occasion. Kosova was crushed and oppressed by the Ottoman Empire; murderously invaded by the Serbian Army; repressed and colonised under the Yugoslav kingdom; dismembered by Nazi Germany and Fascist Italy; and terrorised by the Communist police-state after World War II. It was partially emancipated in the late 1960s and 70s, only to see its autonomy brutally abrogated by Slobodan Milosevic, in an assault that culminated in the attempted genocide of the late 1990s. Who would have thought before 1999 that the story would have a happy ending ? Who would have thought that when Indonesia invaded East Timor in 1975, East Timor would one day be free ? This is a lesson, that no matter how bleak things may seem, justice and liberty may triumph in the long run. I have said before that the idea that Kosova’s independence will cause innumerable other ‘separatist’ territories around the world to try to follow suit is a scaremongering myth. Still, I hope that the happy outcome will indeed inspire other enslaved nations not to give up hope: liberation may be just around the corner; you can’t keep a good nation down. Long live the freedom of the Chechens, Kurds, Taiwanese, Kashmiris, Darfurians ! Long live a free Palestine alongside a free Israel ! It is easy to forget at this happy time that yesterday there were, in fact, two victors: Kosova and democratic Serbia. No nation can be free if it oppresses another, and all true Serbian democrats should be celebrating, not only the emancipation of their Albanian sisters and brothers, but their own. Kosova was a millstone around Serbia’s neck, and Serbia will be happier without it; just as Britain and France are happier with Ireland and Algeria independent. Many Serbs may not feel like celebrating, but one day this will all seem in a much more positive light to them; an unhappy conflict is over and their path to long-term peace, prosperity and participation in the European dream is open. As for the die-hard nationalists – Vojislav Kostunica, Tomislav Nikolic and co. – long may their misery last. Their genocidal campaign to break up Yugoslavia, redraw borders and establish a Great Serbia was the direct cause of Kosova’s independence. They sought to dismember their neighbours, yet this led only to Serbia’s loss of Kosova. What goes around comes around. As ye sow, so shall ye reap. Unfortunately, their misery will not be as great as the misery of the mothers of Racak, Srebrenica and Vukovar; they should bear that in mind while they wallow in their self-pity. But how many Serbs turned out to demonstrate and attack the US embassy ? 1-2,000 ! There was a time when hundreds of thousands of Serbs would have demonstrated over Kosova; that time is past. The people of Serbia have moved on; the nationalists should too. There is an ignoble tradition on the Left of refusing to acknowledge any of the good things that Western leaders do. Let us break this tradition and give credit where credit is due. Well done George W. Bush and the United States of America ! Well done Gordon Brown and the United Kingdom ! Well done Nicolas Sarkozy and the Republic of France ! Well done to the free world ! And a special well done to Tony Blair, our greatest prime minister in half a century, whose resolution in 1999 made this all possible. Well done not just for doing what is right, but for standing up to the imperialist bully and thug, Vladimir Putin. It is easy (and right) to be critical of Russia, but it should not be forgotten that in the early 1990s, Russia’s record on the Balkans was less bad than that of Britain and France; our leaders used Russia’s alleged (in fact mythical) ‘historical friendship with Serbia’ as an excuse for their own disgraceful policy of appeasing Milosevic, and the worst elements in Russia were only encouraged. It is time to make it clear that if Russia wants to avoid irrevocably damaging its relations with the West, it needs to stop causing trouble for us in the Balkans. We should be friends with Russia, but this means Russia democratising, not the West pandering to a brutal ex-KGB tyrant who uses weapons of mass destruction against his own civilians and wages racist campaigns against ethnic minorities. Putin asks: “Why do we promote separatism? For 400 years Great Britain has been fighting for its territorial integrity in respect of Northern Ireland. Why not? Why don’t you support that?”. He seems not to realise that we in the UK will happily let Northern Ireland go if that is what its people want; the concept of a democratic majority appears to be alien to him. Or perhaps he’s just stupid. If anything dampens one’s mood, it is the tepid welcome to newly free Kosova given by so many pundits and commentators; freedom apparently is not very inspiring to our chattering classes who live permanently in fear. The Guardian describes Kosova’s independence as “a unilateral solution which only sets back further the goal of a new international order, where disputes are decided multilaterally”. No doubt the Guardianistas would be happier allowing Chinese Communists and Russian KGBers a veto on the freedom of every new state; thank goodness Dubya and Gordon take a less wishy-washy approach. That a right-wing, Republican US president should prove to be more progressive and ‘left-wing’ on the question of national self-determination than our leading liberal paper – not to mention our so-called ‘radical left’ – is merely a sign of the times. The Daily Telegraph has come out in favour of the partition of Kosovo as a solution to the problem, showing that the spirit of Neville Chamberlain’s brand of unreconstructed Toryism is very much alive. Let us be clear on this point: according to the last legitimate census of Kosova in 1981, a single Kosovar municipality had a Serb majority – Leposavic. The current Serb majority over a larger area of northern Kosova is simply the result of ethnic cleansing, and should not be recognised. Kosova should allow Leposavic to secede and join Serbia – provided Serbia similarly allows the Albanian-majority municipalities in southern Serbia proper, Presevo and Bujanovac, to secede and join Kosova. But thankfully partition – which really might open a Pandora’s box for border changes in the Balkans – is not going to happen, so any debate about it is a waste of time. 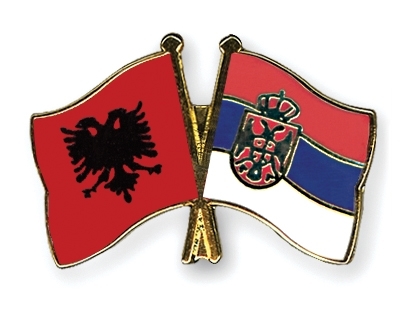 As for whether we are hypocritical for not recognising a similar right to secession for Republika Srpska (Bosnia’s Serb Republic) or Abkhazia: perhaps these two entities could allow back to their homes the roughly half of their respective populations they kicked out in the process of establishing themselves; then perhaps we might discuss the merits of their respective cases. But a country that can only achieve a workable majority in favour of independence by expelling half its population is not a country with any right to that independence. Indeed, if there’s one good thing that can be said about the awful new flag that has been foisted upon Kosova by the international community, it is that it does at least contain an image of Kosova in its existing borders, so militating against partition, and is therefore less totally dreadful than the monstrosity imposed on Bosnia by the international community a decade ago; a flag that is too awful for me to reproduce here, or even link to. Why should the people of Kosova not be allowed a flag with their own beloved black double-headed eagle on a red background ? A flag that they held onto through all the bad times: It waved above their infant might; when all ahead seemed dark as night. They are out of the dark now. Long live independent Kosova ! Long live democratic Serbia ! I have spent the last two weeks in Andalucia, Spain, where I attended an academic conference of historians from the former Yugoslavia. I was able to witness at first hand the evidence of the pride with which educated Spaniards view Spain’s Moorish heritage. The ‘Moors’ – a somewhat rough term that encompasses Arabs, Berbers and other Muslims and Arabic-speakers – ruled part of the Iberian peninsula between 711 and 1492. This is a period of 781 years: longer than there have been Europeans or their descendants living in the Americas; longer than there have been Protestants living anywhere. It would be difficult to exaggerate the impact this has had on European and world history; this is a subject that could not be exhausted by many scholarly studies, and I cannot begin to do justice to it in a humble blog post. But just to scratch the surface: Arabic numerals first appeared in Europe in al-Andalus – Muslim Spain – and spread across the continent thanks to the Mediterranean trade between Muslims and Christians; the astrolabe, an astronomical tool, was introduced to Europe via Muslim Spain and helped Christopher Columbus to discover America; Muslim Spain was also the conduit by which Christian Europe learned the secret of gunpowder, and much else besides. Nor does the Islamic contribution to European civilisation begin and end with al-Andalus; coffee was introduced into Christian Europe from the Muslim world, via Ottoman Constantinople and Venice, and into England directly from the Ottoman world. To make this point is not to subscribe to the triumphalism indulged in by some Muslim commentators on the subject; Islamic civilisation was itself based upon Christian, Jewish and pagan foundations, just as Christianity was an offshoot of Judaism and a large part of Europe’s heritage derives from pagan origins, e.g. the seven-day week. Indeed, it is ultimately pointless to try to determine just how much of our modern heritage we owe to each religion or prior civilisation; Europe is a synthesis, and has been so for most of its history. This is, however, something that is difficult for many contemporary nationalists – whether from predominantly Christian or Muslim countries – to acknowledge. Although I have had occasion to criticise Spain’s democratic deficiency, it is nevertheless a relatively mature democracy in comparison to several countries in the eastern part of the European continent. Thus, although Spanish national identity was greatly shaped by the centuries-long Christian Reconquista to drive the Moors from the Iberian peninsula, resulting in an exceptionally strong Catholic orientation that influenced, among other things, the outbreak and course of the Spanish Civil War; although Spain expelled its Morisco (Moorish) population in the early seventeenth century; yet today there is sufficient historical distance for modern, educated Spaniards to appreciate the Islamic conquerors as part of their national heritage, as we in England appreciate the Norman French. Not to mention our last successful conqueror, the Dutchman William of Orange, whose Dutch army invaded England and occupied London in 1688, driving out the legitimate English king, James II; successive generations of English historians have contrived to portray this successful foreign invasion as a ‘Glorious Revolution’. Spaniards treasure national monuments that date from Moorish times: Seville’s Giralda; Cordoba’s Mezquita; Granada’s Alhambra. Just as we in England treasure our Norman castles. The readiness to accept past invaders, particularly those of a different religion, as part of one’s national heritage is, indeed, an acid test for the maturity of one’s democracy, and it is a field where the nations of South East Europe still prove deficient. Turkey is, as much as Spain, the product of a synthetic Islamic-Christian heritage; the Christian legacy is almost as visible in Turkey today as the Islamic, and many of Turkey’s greatest tourist attractions are Christian in origin, such as the Hagia Sophia and the rock-dwellings of Cappadocia. Yet however aware Turks are of their Christian heritage, it is something they tend to find difficult to come to terms with, as Bruce Clark has brilliantly described in his book Twice a stranger: How mass expulsion forged modern Greece and Turkey (Granta Books, 2007). The modern Turkish nation-state was founded upon the extermination or expulsion of millions of Christian Armenians and Greeks – just as the modern, post-Ottoman Christian Balkan nation-states of Greece, Bulgaria, Serbia and Montenegro were founded upon the extermination or expulsion of much of the indigenous Ottoman Muslim population. The tyrannical regime of Franjo Tudjman in Croatia in the 1990s made strenuous efforts to disavow Croatia’s Serb heritage. Yet the tune of the Croatian national anthem, Lijepa nasa domovina, was probably composed by Josip Runjanin, whose family was Serb Orthodox (the lyrics were composed by Antun Mihanovic, whose family was Catholic); the nineteenth-century father of integral Croatian nationalism, Ante Starcevic, had a Catholic father and a Serb Orthodox mother. Croatia’s greatest scientist, and one of the greatest scientists of world history, Nikola Tesla, was an ethnic Serb. The Croatian republic was established in the 1940s by a Croatian Partisan movement whose army, by the end of the war, numbered about 150,000 – roughly two-thirds of these were ethnic Croats and over one-quarter were ethnic Serbs. Tudjman’s own daughter Nevenka married a Serb and he, therefore, had part-Serb grandchildren. Yet in liberating the Serbian-occupied region of ‘Krajina’ in 1995, the Tudjman regime treated only the territory as having been liberated; the Croatian Serb population – natives of Croatia – was treated as the enemy. The bulk of this population having been evacuated by the Serbian-occupation authorities, the few Serb civilians who remained behind were systematically terrorised and frequently killed under the umbrella of the Croatian authorities, while Serb homes were burned and destroyed to discourage the refugees from returning – all this done to a national minority that had contributed so much to Croatia. Turkey and Croatia are, however, currently under governments that are genuinely committed to turning their backs on such practices. Yet in areas where the national question is not yet resolved, local chauvinists are still engaging in the destruction of what should be treasured parts of the national heritage. The greatest building in the largest city held by the Bosnian Serb nationalists, the Ferhadija mosque in Banja Luka, was destroyed in 1993 by the Serb authorities, which have since successfully stymied all efforts at its reconstruction. In Kosovo, as I have written elsewhere, Albanian thugs in 2004 vandalised and desecrated local Serb Orthodox religious buildings; Serb thugs in Belgrade and Nis responded by attacking mosques and smashing Ottoman gravestones. These are acts of barbarity that would be equivalent to the Spanish today destroying the Alhambra. The Banja Luka Serbs may come to regret the destruction of what should have been their greatest tourist attraction; they can still rebuild it. The Kosovo Albanians should treasure their Orthodox churches and monasteries, and the Serbs their mosques and Ottoman monuments, as the Spanish treasure the Alhambra, Giralda and Mezquita. The Kosovo Albanians should feel proud of the Orthodox part of their heritage, as the Serbs should feel proud of the Islamic part of theirs. Skanderbeg, the Albanians’ greatest national hero, was a Christian who fought alongside the Serbs against the Ottomans, and who had a Serbian daughter-in-law; the Albanian double-eagle flag is itself of Byzantine origin. The most powerful Bosnian ever to have lived was Mehmed-pasha Sokolovic, who, as grand vizier in the sixteenth-century, presided over the Ottoman Empire at the height of its power; Sokolovic came from a Serb Orthodox family and, although a Muslim convert, reestablished the Serbian Patriarchate of Pec. Whether Sokolovic was a ‘Serb’ or a ‘Bosniak’ is a meaningless question; he belongs to both nations today. The fact that there is a Serb population in western Bosnia is itself a product of the Ottoman heritage; the Orthodox spread westward in Bosnia under the Ottoman umbrella. Belgrade’s greatest building and tourist attraction is the fortress of Kalemegdan, which was built by successive occupiers including the Ottomans; the tomb of one of its Ottoman governors still stands prominently in its heart, inside which hung, at least until very recently, an Ottoman flag. Belgrade place names like Kalemegdan, Karaburma and Mirijevo are Turkish in origin. All of this is to say that the heritage of the nations of Europe that have experienced both an Islamic and a Christian presence, or a Catholic and an Orthodox presence, like the heritage of Europe as a whole, cannot be homogenised as the nationalists and religious bigots would like, and ‘purified’ of ‘alien’ national or religious elements. Whereas being a ‘good’ nationalist may once have been seen to involve tearing down an ‘alien’ mosque or a church, being a good European and democrat today should require the embracing of all elements of the national past, in all their rich multi-ethnic and multi-religious diversity, and rebuilding or restoring those same mosques and churches destroyed by previous generations. The unified, democratic Europe that is emerging requires not just the unification of our territories, but the unification of our histories. Correction: My friend and colleague Andras Riedlmayer, whose expertise on the topic of cultural destruction and vandalism in Bosnia is second to none, informs me that what I have written above about the Ferhadija mosque in Banja Luka is out of date: the Banja Luka authorities have recently dropped their opposition to the reconstruction of the Ferhadija, and even provided modest financial support for it; reconstruction has consequently commenced under the direction of Professor Muhamed Hamidovic, retired dean of the Faculty of Architecture in Sarajevo. On this occasion, it is a pleasure to be corrected. I write this from an internet cafe in Andalucia, Spain, where I have been attending a scholars´conference in the company of Serbian, Bosnian and Croatian colleagues. It has been a pleasure to spend time with old friends and to make new ones. I am a little late in offering my congratulations to the Serbian people for Boris Tadic´s victory in Serbia´s presidential election; I should like to do so now. Tadic´s election victory over the fascist and anti-Western candidate, Tomislav Nikolic of the Serbian Radical Party, proves that the Serbian people want to belong to democratic Europe. The appeasers have constantly told us that Western support for Kosovo´s independence was pushing the Serbian public toward the fascists; with Tadic´s election victory, we have decisive proof that this is not the case. Whereas some Serbian intellectuals and politicians feel strongly about the need to retain Kosovo within Serbia, for the overwhelming majority of ordinary people, common sense trumps nationalist inat (a Serbian word that translates as something between ´spite´and ´bloody-mindedness´). It is clear to most ordinary people that Serbia´s future lies with the democratic states of the EU, not with Vladimir Putin´s authoritarian Russia. Nikolic offered Serbia the prospect of becoming a North Korea surrounded by hostile neighbours, with Serbia´s young people denied the prospect of work, education and travel in the West. The Serbian electorate has rejected this option. 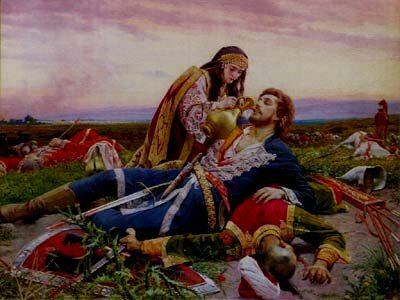 Commentators have long suggested that, in choosing the nationalist option in the 1980s and 90s in preference to Westernisation and democratisation, Serbia´s people chose the ´heavenly kingdom´over the real world, as Serbian Prince Lazar did when he opted to lose the Battle of Kosovo in 1389 as the necessary price for this. Tadic´s victory shows that the Serbian people today prefer the real world. It has been suggested that, from the Serbian-progressive point of view, a victory for Nikolic and the fascists might have been the lesser evil. Certainly, such a victory would have accelerated the final and total defeat of Great Serbian nationalism and imperialism, whereas a victory for the pro-Western, moderate nationalist Boris Tadic will string the defeat out a bit longer. The German Communists in the early 1930s said ´After Hitler – our turn´. And indeed, the electoral victory of Hitler and the Nazis in 1933 led within twelve years to the final and total defeat of German fascism and imperialism. But at what price for Germany and the world ? And at what price for the reputation of the German people ? Tadic’s victory, involving the victory of the more sensible, moderate nationalist over the suicidal, self-destructive one, should give heart to all those who have faith in the Serbian people and their awareness of their true interests. Just over a year ago, I wrote that Serbia belongs in the West. I am glad to say that I have not been mistaken. Long live free and democratic Serbia ! Long live free, democratic and independent Kosovo ! Long live the unity of the peoples of the Balkans in the EU and NATO !